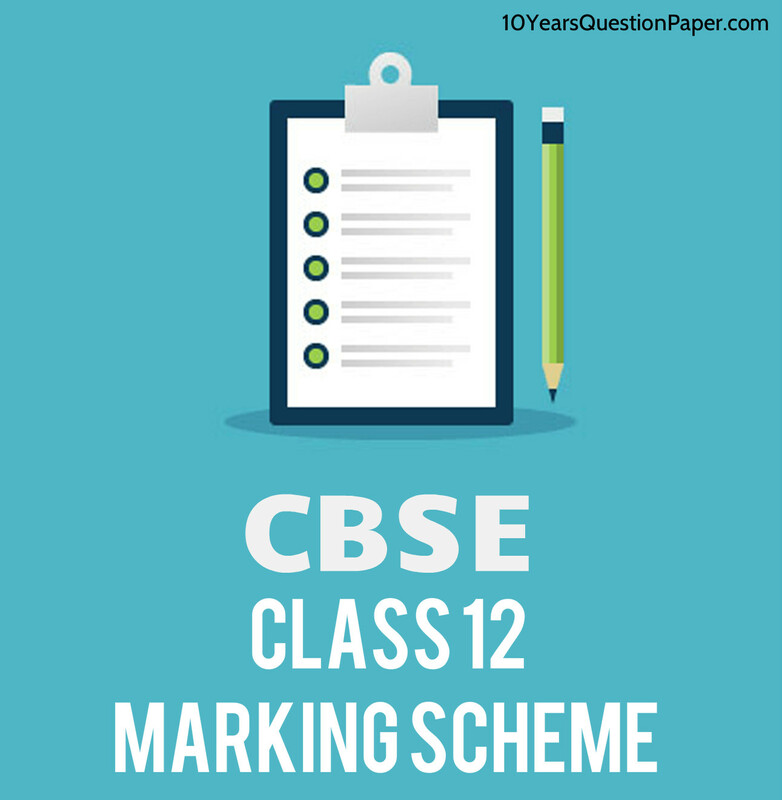 Marking scheme of CBSE Class 12 2019 have been issued by Central Board of Secondary Education (C.B.S.E.) 2018-2019. 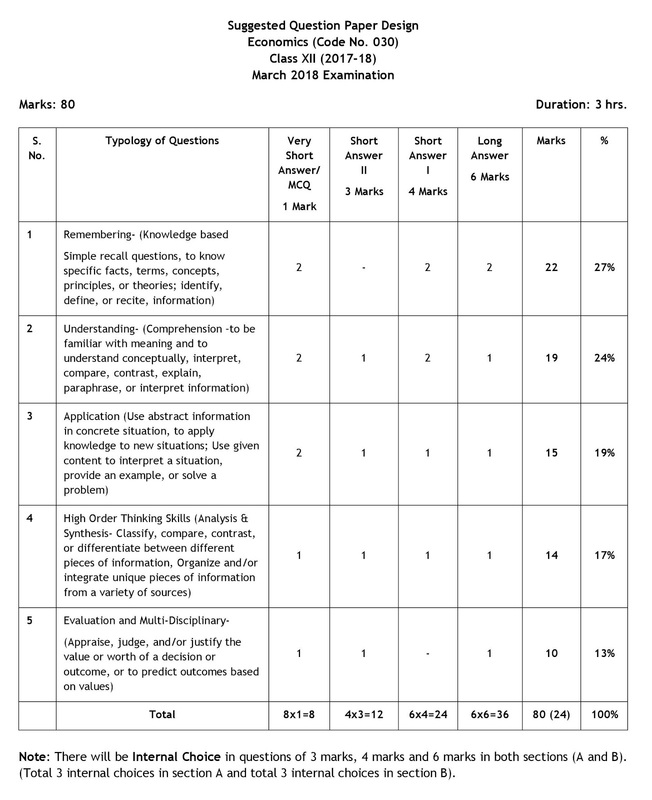 This marking pattern will help students as ultimate guide to dominating CBSE 2019 examination. 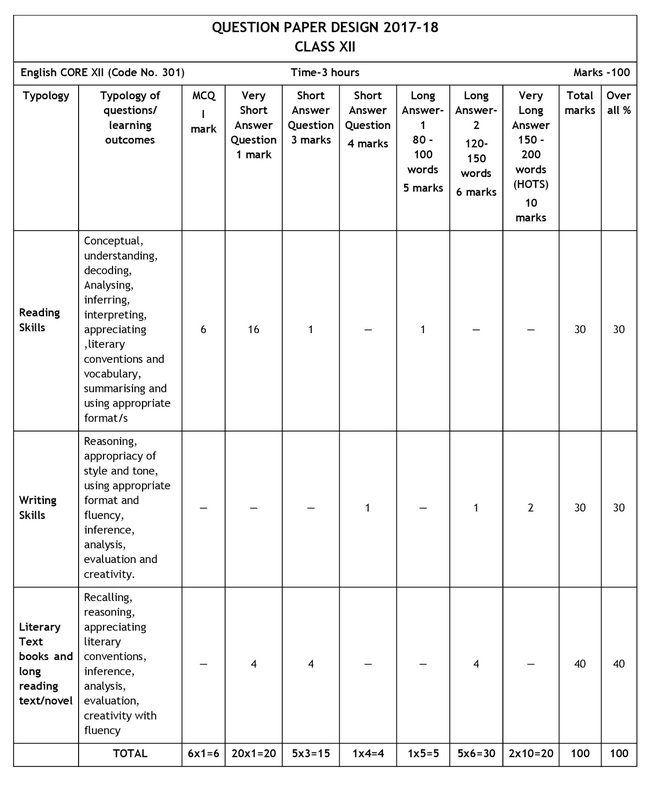 Knowing the CBSE marking scheme is as important as knowing the previous years question paper. We analyzed 80% of the students don't even see the marking scheme got less than 61% marks in the board exam and were as the students who examine the chapter wise weight-age of the question take a smart move of study and got more than 81% in there board examination. 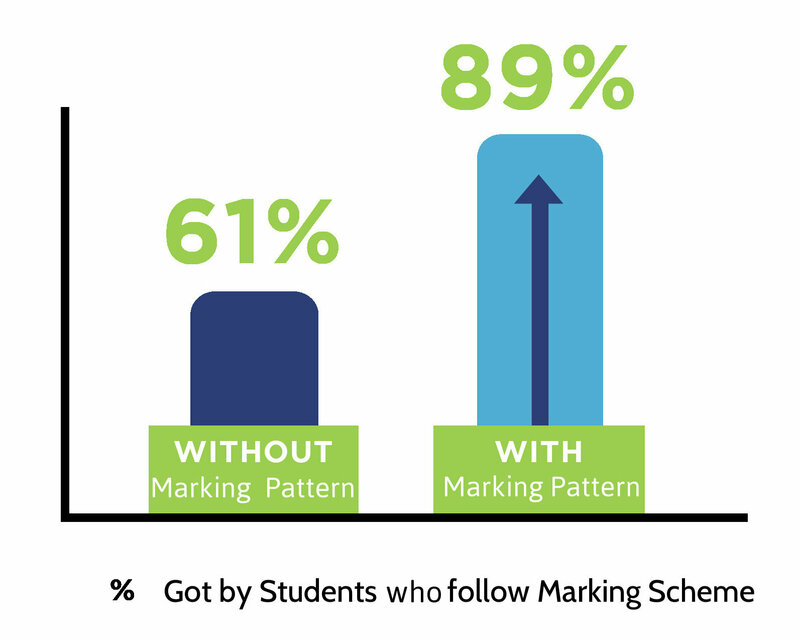 So if you want higher marks check out the new marking scheme guide. The Design of 2019 Mathematics question paper is also an important factor that students should follow in preparation for the board examination of 2018-2019. Senior Secondary stage of school education is a stage of transition from general education to discipline-based focus on curriculum. The present updated syllabus of Physics keeps in view the rigour and depth of disciplinary approach as well as the comprehension level of learners. CHEMISTRY (Code No. 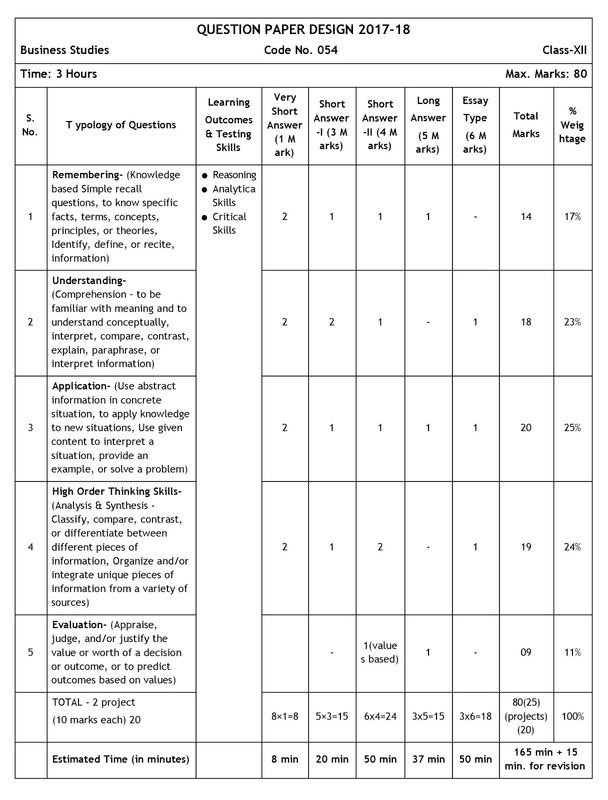 043) (2018-19) The new and updated curriculum is based on disciplinary approach with rigour and depth taking care that the syllabus is not heavy and at the same time it is comparable to the international level. The knowledge related to the subject of Chemistry has undergone tremendous changes during the past one decade. The present syllabus provides the students with new concepts along with an extended exposure to contemporary areas of the subject. The syllabus also aims at emphasizing on the underlying principles that are common to both animals and plants as well as highlighting the relationship of Biology with other areas of knowledge. The course in Accountancy is introduced at +2 stage of Senior Secondary education, as formal commerce education is provided after first ten years of schooling. The courses in Business Studies and Accountancy are introduced at + 2 stage of Senior Secondary Education as formal commerce education is provided after first ten years of schooling. The Economics courses also contain many projects and activities. These will provide opportunities for the learners to explore various economic issues both from their day-to-day life and also from issues, which are broader and invisible in nature.